When you spend $88 million to buy a couple of floundering newspapers, you get to call the shots. So when Lewis Katz and H.F. "Gerry" Lenfest came to the microphones today to address the media, they were ready to announce some immediate managerial decisions. In was Bill Marimow, the editor of the Inquirer that Katz and Lenfest went to court last fall to reinstate, after he was fired by Inquirer Publisher Bob Hall. Out was Publisher Hall, whom Lenfest said was "retiring." 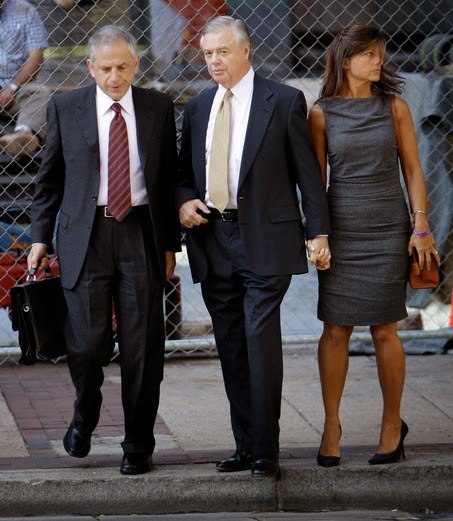 Also getting the boot was the much ballyhooed public pledge by the former owners of the paper, including Katz and Lenfest, that they would not interfere in the editorial operations of the two newspapers and the philly.com website. "That will be gone," Lenfest said bluntly, when asked about the non-interference pledge. "It won't be necessary." 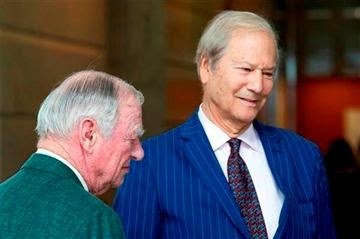 One night last week, Lewis Katz strolled through the newsroom of The Philadelphia Inquirer wearing a T-shirt and jeans, yellow-green neon sneakers and Dr. Dre Beats headphones. OK, so he may dress casually for a media mogul. But, a witness said, he acted like a guy ready to buy the joint. 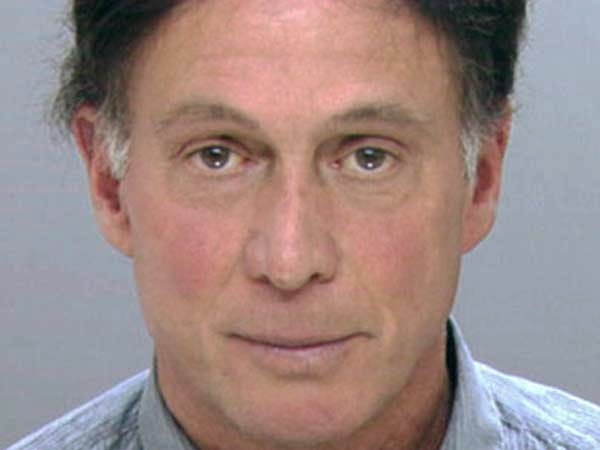 But wait, there's a persistent rumor sweeping the building that Katz may have split up with his longtime companion, Inquirer City Editor Nancy Phillips. Uh-oh. Another reason to think that Katz may be headed on his way out the door. 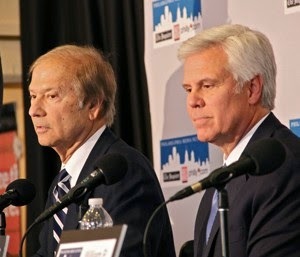 With the auction of the city's paper of record a day away, reporters can't be blamed for sifting through every new fact and rumor as they try to handicap Tuesday's long-awaited showdown between principal feuding owners Lewis Katz and George E. Norcross III. The judge asked the defendant if he had anything to say. Vince Fumo stood up. He looked tired. "It's been a long road," the 71-year-old former state senator told Judge Ronald L. Buckwalter. 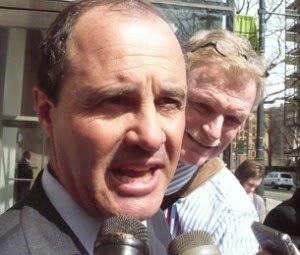 He talked about his legal ordeal, which began with a federal investigation in 2003. Then came a massive indictment in 2007, followed by a nearly five-month-long trial that ended in 2009 when a jury convicted Fumo on all 137 counts. "I spent four years in jail," Fumo told the judge who put him there. Fumo talked about the nearly $4 million in fines and restitution that he had to pay the government, plus the additional $4 million he spent on legal fees. Now, Fumo told the judge, it's ten years later, "And I still don't know what my sentence is." The judge agreed with Fumo that it had been an unusually long road, longer than anyone could have imagined. But what can you do, the judge seemed to be saying, when the government keeps appealing my rulings, and winning those appeals? Then, acting on the government's latest successful appeal, the judge announced he was clipping Fumo for another $359,430 in restitution. 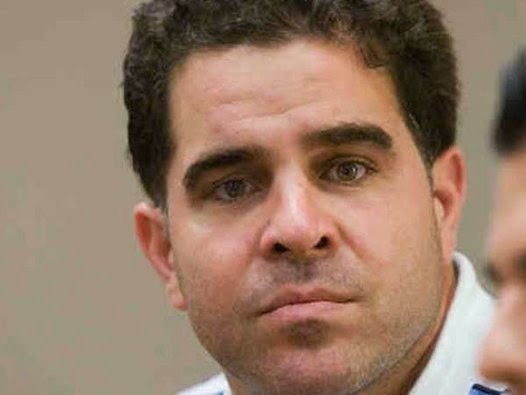 Shortly after mobster Anthony Nicodemo's attorney offered a bizarre carjacking defense last week to explain how his client became an unwitting getaway driver in the December 2012 murder of Gino DiPietro, a person following the trial rolled his eyes and scoffed. "There's no way a common-sense jury buys that story," the observer said. 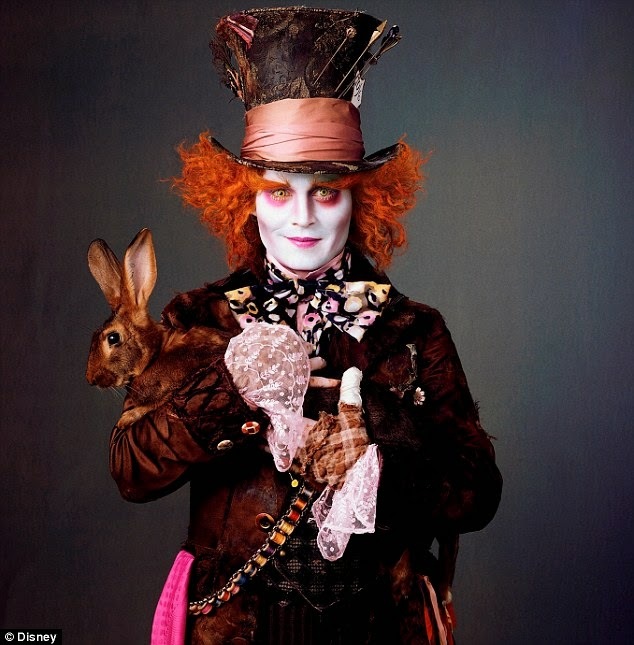 But common sense doesn't always apply in Common Pleas Court, a sometimes illogical Alice in Wonderland judicial world where the unexplainable happens. This morning, as the defense was preparing to call its first witness, it happened again. Judge Jeffrey Minehart declared a mistrial late this morning after dismissing two more jurors in the case. That left the panel with just 11 members and apparently neither side wanted to proceed at that point. The case blew up amid reports that police have opened an investigation into possible jury tampering. A Delaware judge today banned the media from attending next Tuesday's auction of the parent company of the Philadelphia Inquirer, Philadelphia Daily News, and philly.com. Vice Chancellor Donald F. Parsons Jr. of the Delaware Court of Chancery, which is overseeing the dissolution of the parent company -- Interstate General Media [IGM] -- granted the request for a closed auction from owners Lewis Katz and H.F. "Gerry" Lenfest. A rival group of owners -- George E. Norcross III, William P. Hankowsky, and Joseph E. Buckelew -- had asked the vice chancellor for an open auction, as had the Newspaper Guild of Greater Philadelphia. The Guild was a party to the litigation over the dissolution of the parent company, but couldn't come up with an investor willing to spend $77 million, which will be the auction's opening bid. Even if the judge closed the auction to the media, the Newspaper Guild had sought access to the auction because the Guild was a party to the litigation, and has some 500 jobs on the line. Vice Chancellor Parsons, however, also banned the Newspaper Guild from showing up at the 9:30 a.m. May 27 auction at the law offices of Dechert LLP, at 2929 Arch Street in Philadelphia. 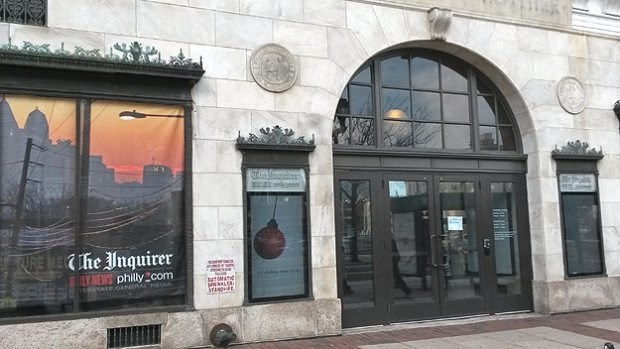 Will Inquirer's "English-Style Auction" Be Closed To The Media? All the details are set regarding the auction of Interstate General Media [IGM], the parent company of The Philadelphia Inquirer, Philadelphia Daily News and philly.com. The "English-style auction" will begin at 9:30 a.m. May 27 at the law offices of Dechert LLP, at 2929 Arch Street in Philadelphia, according to documents filed in Delaware Chancery Court. Trustee William B. Chandler III, a former chancellor of the Delaware Chancery Court, will officiate. The two warring ownership groups will be seated in separate rooms so that "each Group can consult with each other regarding bidding outside of the presence of the other Group." The first bid will be made by General American Holdings Group, the majority ownership faction that includes owners George E. Norcross III, William P. Hankowsky, and Joseph E. Buckelew. Norcross has previously told the chancery court that the opening bid will be $77 million, an amount subsequently agreed to by the court. Then, the Intertrust Group comprised of minority owners Lewis Katz and H.F. "Gerry" Lenfest will have exactly 10 minutes to submit another incremental bid in writing that must be "exactly $1,000,000 higher than the prior bid." It could all be over in 10 minutes if Katz and Lenfest don't bid $78 million. According to court documents, the bidding concludes when "either group fails to submit an Incremental Bid within the ten-minute time limit." 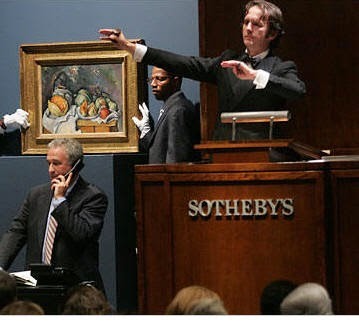 The only remaining question is whether the media will be allowed to sit in on the auction and report the results. Amazingly, the Katz-Lenfest faction wants the auction closed; they don't even want the amount of the winning bid to be divulged, according to a letter filed late Friday in Delaware Chancery Court by a lawyer for the General American group. In the letter, the Norcross faction asks for "an open and transparent process." Anthony Nicodemo smiled and waved to family members and friends as he left the 11th floor courtroom this afternoon following a second day of testimony in his murder trial. The burly, 42-year-old mobster, who is facing a potential life sentence, appeared calm and relaxed as he headed back to the prison cell he has occupied since his arrest minutes after Gino DiPietro was gunned down on a South Philadelphia street more than two years ago. Assistant District Attorney Brian Zarallo could wrap up his case tomorrow. Court does not meet on Friday. That would set the stage for what might be the biggest decision in Nicodemo's life. Does he take the stand in his own defense? A gag ordered imposed by Judge Jeffrey Minehart bars Zarallo and defense attorney Brian McMonagle from commenting about the proceedings. Several sources, however, say that McMonagle has not decided if he will put his client on the stand when the defense portion of the trial begins sometime next week. The gunman who shot and killed Gino DiPietro in December 2012 made his getaway in a black Honda Pilot owned and driven that day by South Philadelphia mob figure Anthony Nicodemo. That fact was not in dispute as Nicodemo's murder and conspiracy trial opened this afternoon in Philadelphia Common Pleas Court. What came next was rather murky. Using the same set of facts, Assistant District Attorney Brian Zarallo and defense attorney Brian McMonagle told the jury decidedly different stories about what went down in the 2800 block of Iseminger Street on the afternoon of December 12. Zarallo, pointing to a .357 magnum that was found in Nicodemo's vehicle, said authorities had the "smoking gun" that tied the hulking, 42-year-old mob soldier to the murder. He also said that a witness got the license tag of the black Honda Pilot as it drove away and that within minutes police were knocking on Nicodemo's door in the 3200 block of South 17th Street, a five-minute ride from the murder scene. But McMonagle, in an impassioned opening statement, said his client was not involved in the shooting. He just happened to be parked near the murder scene when an unknown gunman jumped in his car and forced him to drive away. 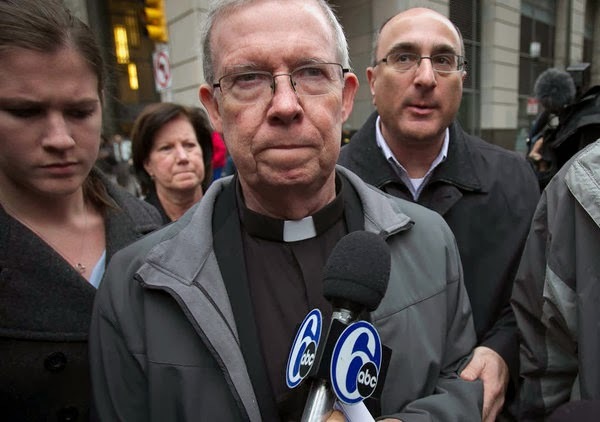 Defense lawyers for Msgr. William J. Lynn say the state Supreme Court's decision to review the case could result in two more years of appeals. Defense lawyers are worried about a scenario where it's 2017, and Msgr. William J. Lynn is being tried for a second time. By that juncture, Lynn will have served a year and a half in jail, and at least three years under house arrest. "It could be unending," Thomas A. Bergstrom, Lynn's lead defense lawyer, said about future appeals in the case. Philadelphia District Attorney Seth Williams is not commenting about the state Supreme Court's decision last week to grant the D.A. 's petition for a review of the Lynn case. But a former prosecutor in the district attorney's office says the state Supreme Court's review may be less about Lynn and more about sending a message in Pennsylvania that child abuse can no longer be covered up. No matter who's right, it looks like the Lynn case won't be going away any time soon.